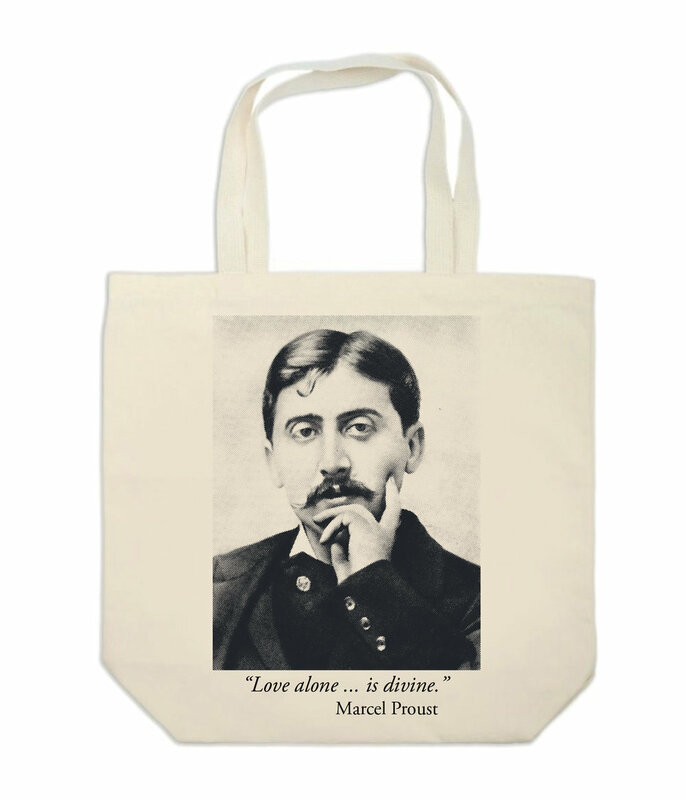 Introducing the Proust Boutique with unique products of our own designs: Proust t-shirts, Proust totes, Proust mugs, and photographs of places that Proust loved and that inspired many passages in his novel and other writings. Nic’s photographs include Illiers-Combray, the Jardin Marcel Proust, and Illiers environs; Paris, Cabourg (the Balbec of Marcel Proust), and Venice. Design is printed on American Apparel t-shirts made in the USA. 100% cotton. Available in white, black, and gray. Reinforced stress point stitching, 5" square bottom gusset. Extra-long 26" cotton webbed handles.